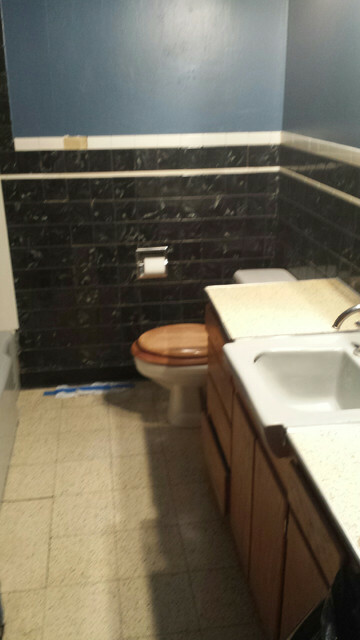 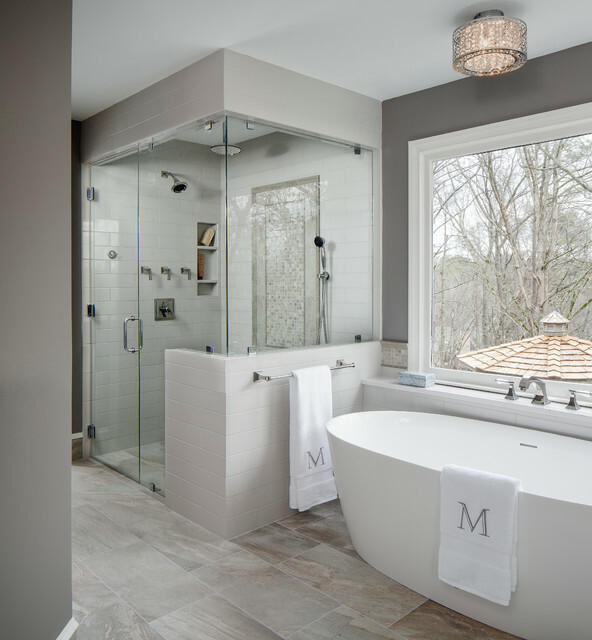 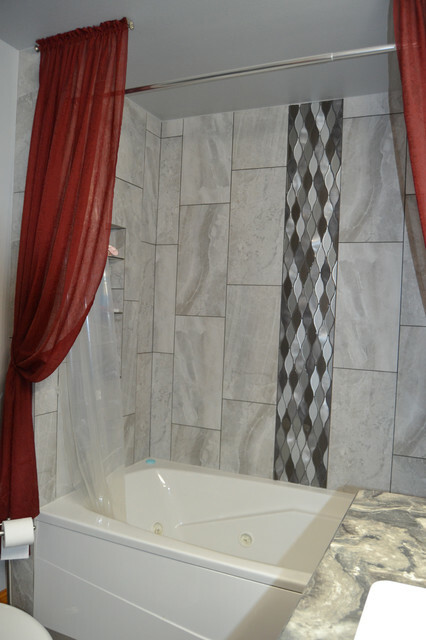 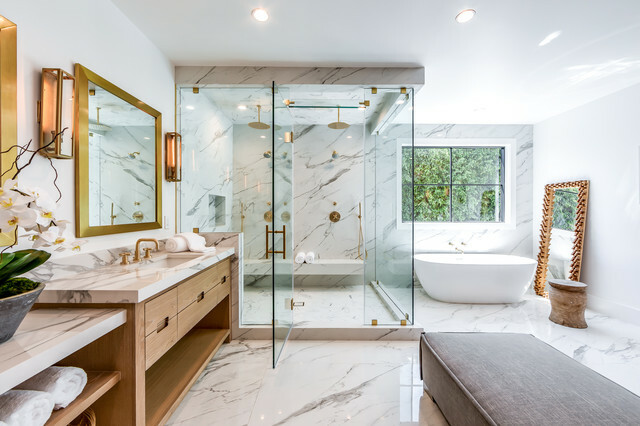 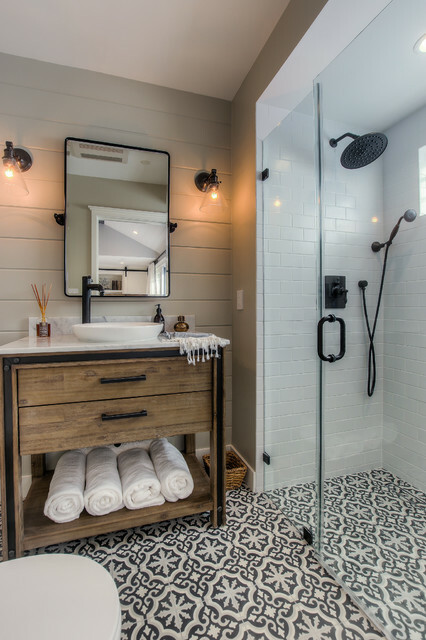 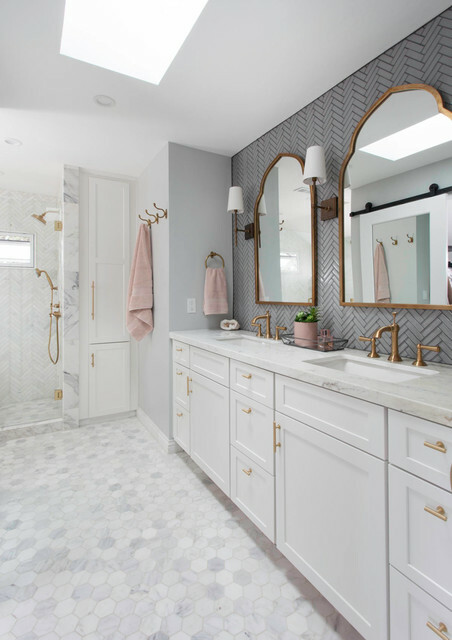 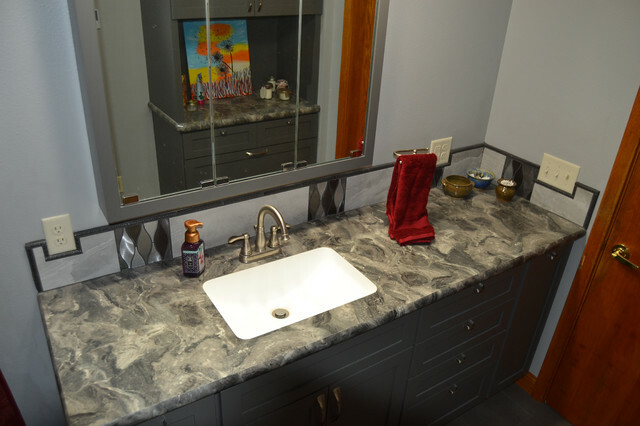 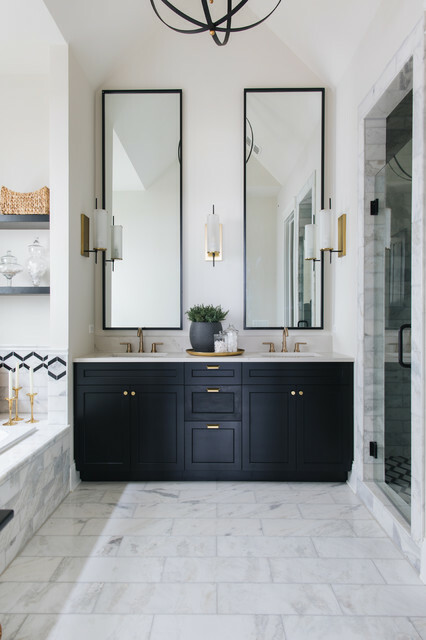 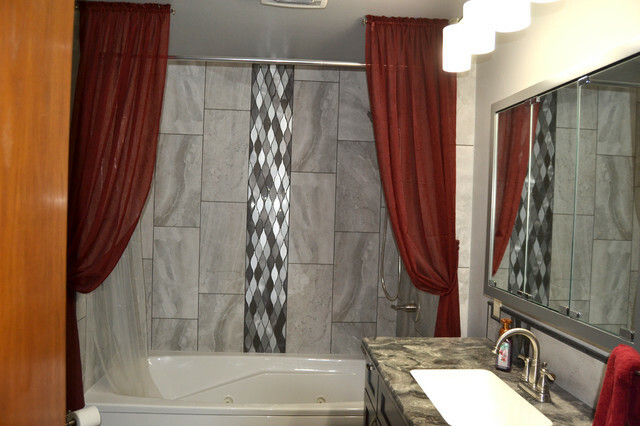 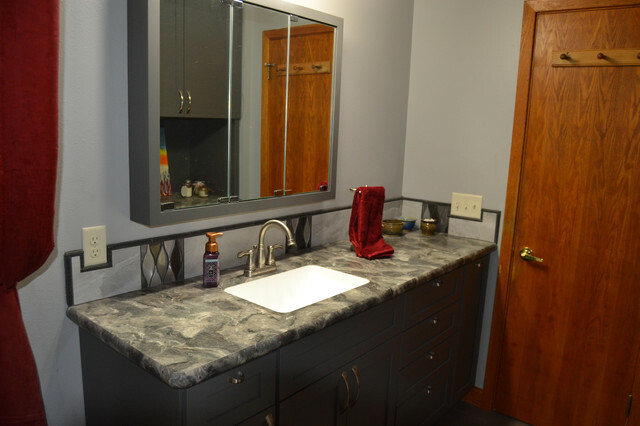 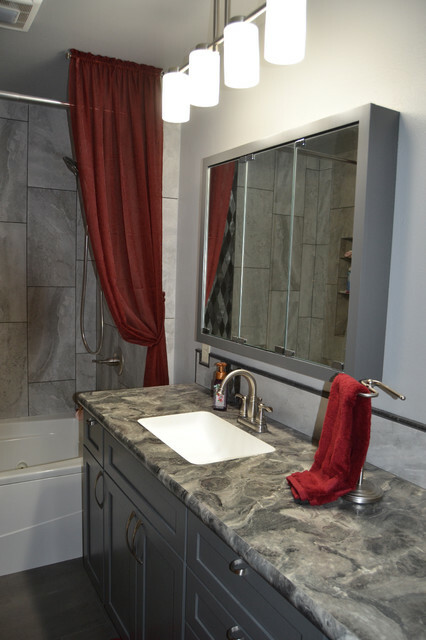 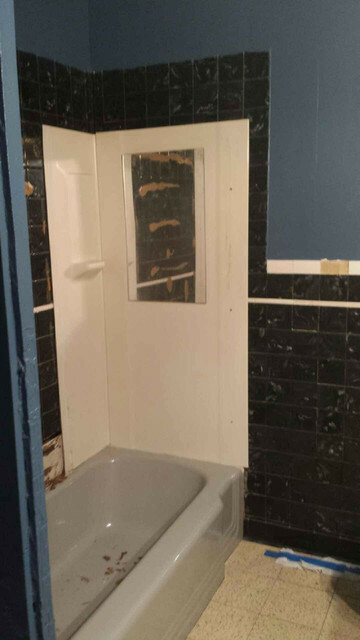 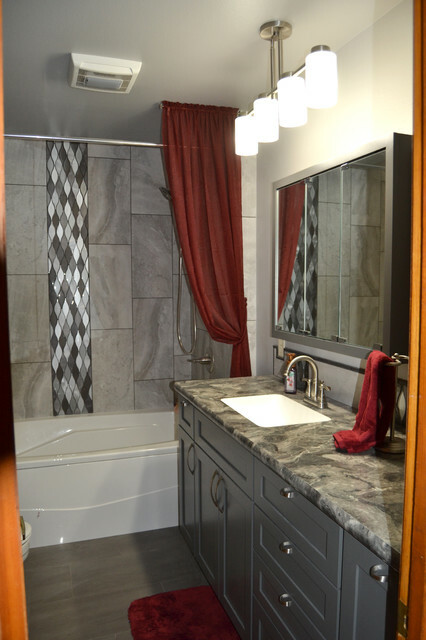 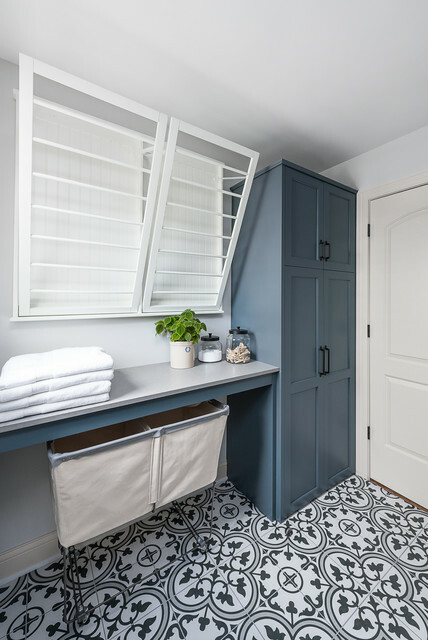 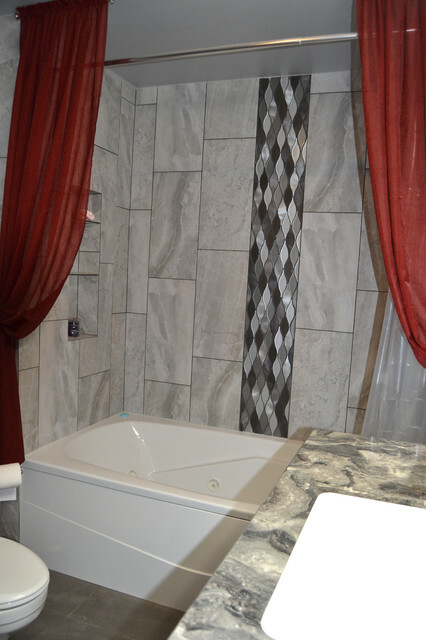 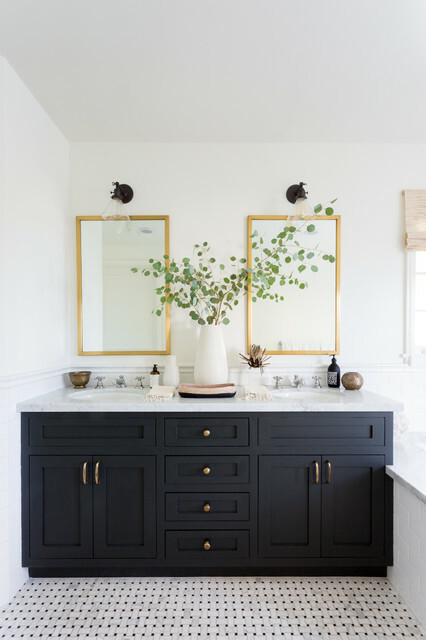 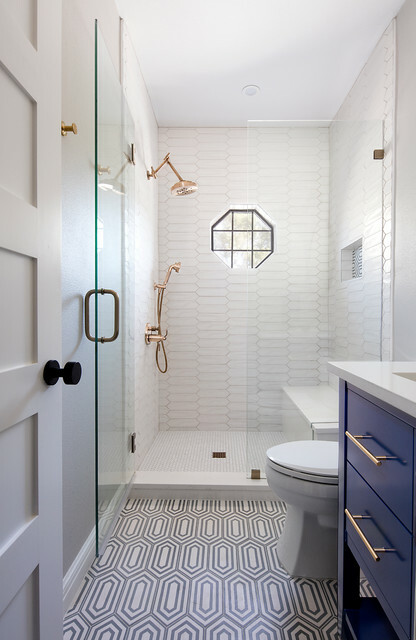 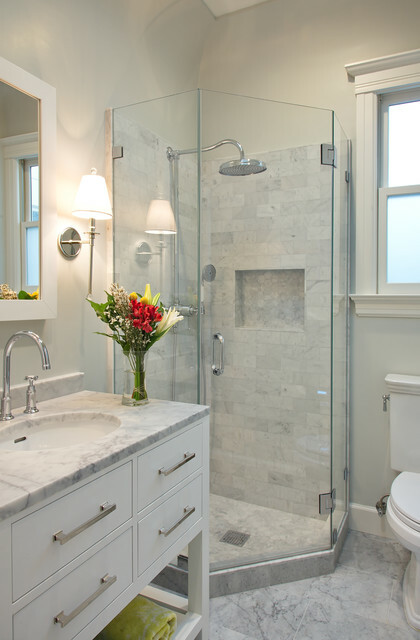 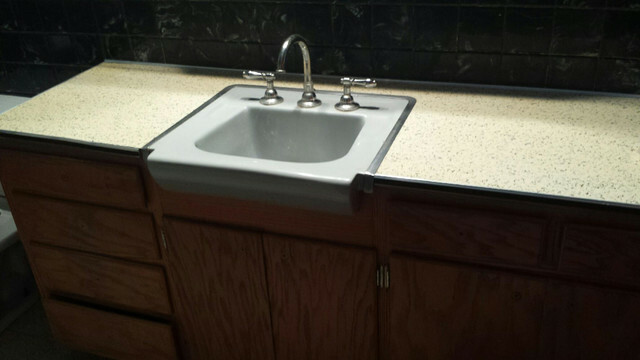 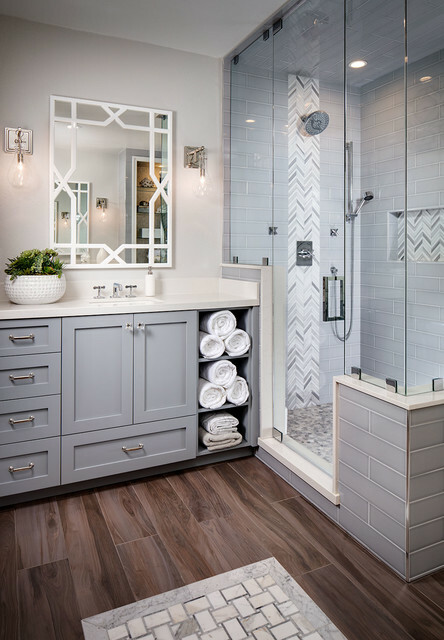 This bathroom looks amazing after it's makeover! 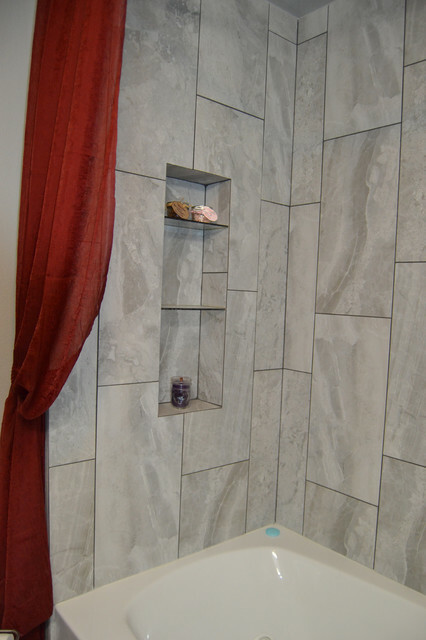 The pretty grey tones set a nice stage for any color accessories you like. 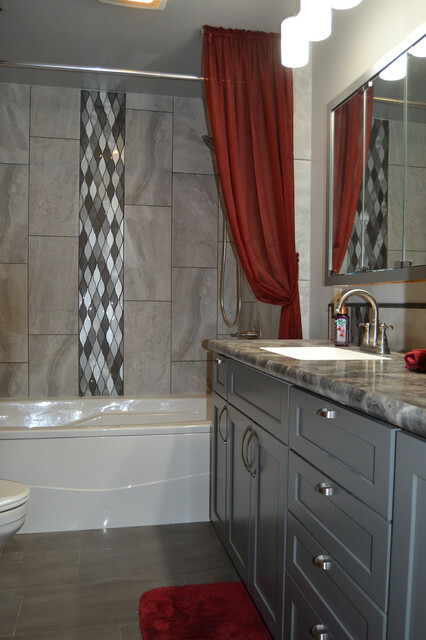 The red really pops against the beautiful tile.